Meet your new favorite earbuds! Ultra quality earbuds with premium sound and heavy bass. 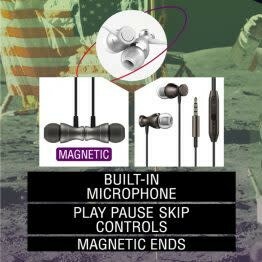 Built-in remote & microphone for audio control and phone calls. Magnetic earbuds help keep your cords tangle and hassle-free.